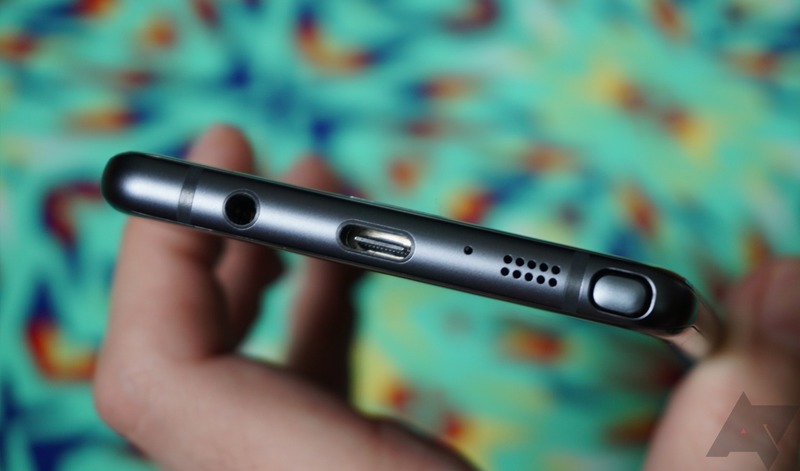 We now believe this is not the case - the Galaxy S8 will likely have a headphone jack after all. There are some hardware advances that make sense—moving to the USB Type-C standard, for example. It's a pain at first, but the benefits are clear. Removing the headphone jack, however, seems dumb at this juncture. Still, SamMobile says that Samsung is planning to drop this port in the upcoming Galaxy S8. Boo. Without a 3.5mm headphone jack, your wired headphones won't work with the GS8 unless you have the (probably included) Type-C to headphone dongle. Having dealt with one of these while using the Moto Z, I can tell you this is not a great experience. It's probably not Motorola that Samsung is chasing with this move; it's Apple. The iPhone 7 dropped the 3.5mm jack, which Apple insisted was "courageous." The argument for removing the headphone jack is that phones can be thinner and have larger batteries if you free up that space for other components. SamMobile also speculates that Samsung could use the lack of a jack to add stereo speakers. Perhaps that's wishful thinking, but we'll have to see is this rumor is accurate when the GS8 is announced next year. SamMobile further claims that the GS8 will ditch the physical home button an will stick with a 2K display. However, the display will have a full RGB matrix instead of pentile. It also confirms USB Type-C.